Former Bachelor contestant Sharleen Joynt tied the knot with fiance, Andy Levine on September 8th. The intimate 100- guest event was held at New York City’s Battery Park Gardens with fellow Bachelor stars Andi Dorfman, Kelly Travis, Nick Viall, Chris Soules, Becca Tilley and Caila Quinn in attendance. Sharleen’s Martina Liana wedding gown was the beautiful #735. This pretty dress is all about drama and glamour. 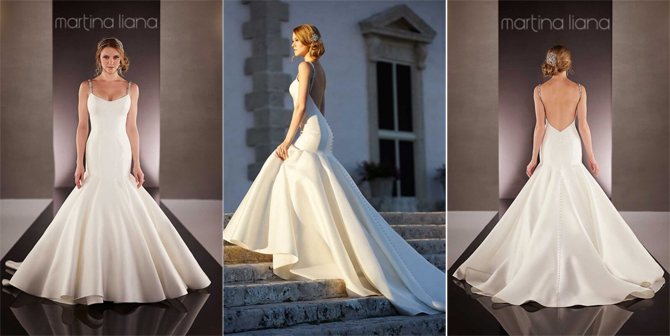 The backless gown features Swarovski crystal straps and a fit and flare skirt with a 600″ hemline.